GetResponse provides dozens of templates in more than 20 industry-based categories. They are easy to use and ready in minutes. 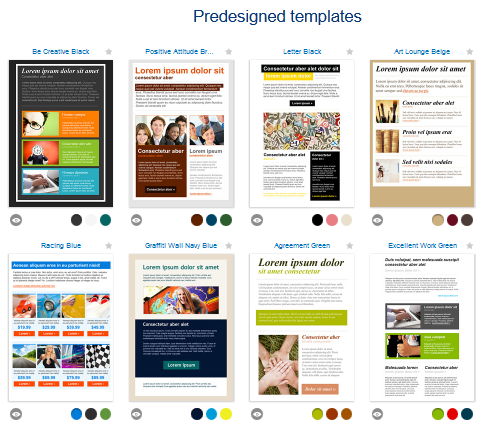 These professionally designed templates allow you to send eye-catching custom newsletters and autoresponder messages. To find templates, choose Messages in the Dashboard menu and click Create Newsletter or Create Autoresponder. In the Template step choose an industry category and browse the templates until you find the perfect one.Click the one you want to add it to the message editor. Click here to learn about editing options available in the editor.